TUESDAY, June 6, 2017 (HealthDay News) -- For years, you probably have been told that wheat bread is far better for you than its white counterpart, but a small, new study suggests that maxim may not hold true for everyone. Researchers looked at how quickly blood sugar levels rose after eating (a process called the glycemic response) either white bread or sourdough-leavened wheat bread. The researchers found that the response seemed to vary by person, and that some people didn't have a bad glycemic response to white bread. "Our study suggests that, in terms of glycemic responses, different people respond differently to even the same meal," explained study author Eran Segal, from the Weitzman Institute of Science in Rehovot, Israel. "In the context of white bread, this means that some people respond badly to white bread and should probably avoid it, while others have a healthy response to it, given what we measured," Segal said. "In a broader sense, what this means is that the 'one-size-fits-all' diets that are given to the population as a whole, without personalization, are probably not optimal for everyone," added study co-author Dr. Eran Elinav, who's also from the Weitzman Institute. The researchers theorized that differences in the gut microbiome (the natural bacteria living in a person's intestine) may explain why people respond differently to different breads. The researchers added that they were able to predict what a person's glycemic response would be to a particular bread based on the makeup of their microbiome. Both Segal and Elinav did report they are paid consultants for a company that offers personalized dietary advice based on an individual's gut microbiome. At least one nutritionist wasn't convinced that people should give up on whole grains. "This small, short-term study does not offer a free pass to eating tons of highly processed white bread," said Samantha Heller, a senior clinical nutritionist from New York University Langone Medical Center. "Epidemiological research has shown that people who eat more whole grains, such as whole grain breads, crackers, cereals, brown rice and quinoa, have a reduced risk of type 2 diabetes, heart disease, inflammation, obesity and certain cancers," Heller noted. In addition, she said, whole grains have a balance of vitamins, minerals and other nutrients that white bread doesn't. Plus, Heller said, fiber is the "preferred meal for gut microbiota." The study included 20 people from Israel. They were between 27 and 66 years old. Eleven were female, the researchers said. Each volunteer spent a week eating white bread and a separate week eating artisanal sourdough-leavened whole wheat bread. They ate bread first thing in the morning. Half the time, they were allowed butter on their bread. They couldn't eat anything else beginning the night before, and then for two hours after eating the bread. They also weren't allowed to exercise for two hours after eating, because all of these things can alter the glycemic response. Across the groups, the researchers found a similar response to the breads when averaged together. There were no significant overall differences based solely on the bread and glycemic response. 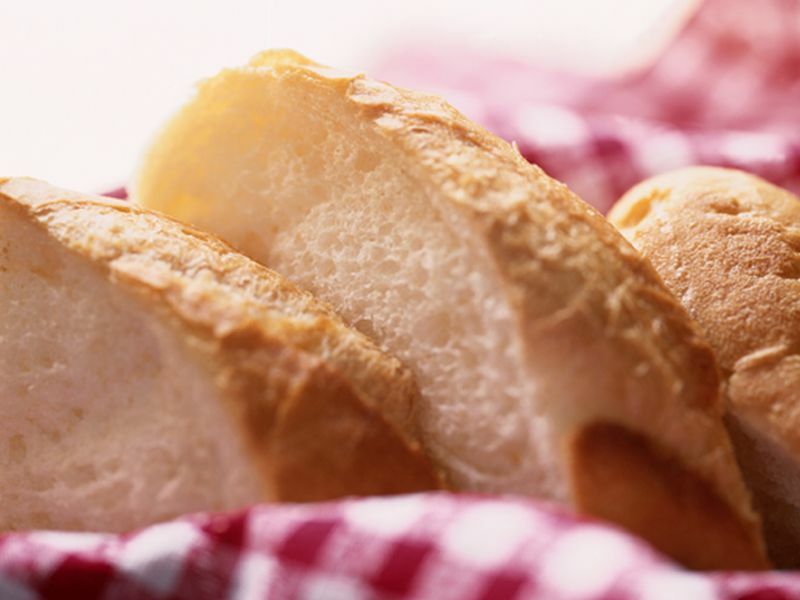 The researchers also said there didn't seem to be a difference in the gut microbiota based on which bread was eaten. "Our study challenges the common belief that types of food that are considered healthy are indeed healthy. We know that people are different in their genetic makeup and lifestyle, and here we show that people have rather stable and person-specific microbiomes," said Avraham Levy, one of the study's researchers. He's also from the Weitzman Institute. "These differences between people affect how they respond to even the same meals, which means that foods which are considered healthy may not be as healthy for everyone, and vice versa," Levy said. The scientists noted that more research needs to be done. Funding for the study came from the Israeli Ministry of Science, Technology and Space, as well as from private foundations and donors. In the meantime, a number of groups recommend eating whole grain foods instead of processed white foods. These groups include the U.S. federal government, the American Heart Association, the American Cancer Society, the American Diabetes Association and the Academy of Nutrition and Dietetics. The study was published June 6 in the journal Cell Metabolism.